The best of the new perfumes + the coziest clothes + warming food ideas. Much easier than getting a "beach-ready bikini body," this time of year is about having your couch blanket-and-smooshy-pillow situation sorted, and stockpiling enough soft fleece and cashmere sweaters. (Throw out anything scratchy. Who needs that kind of negativity in her life?) Your fragrance selection now is also way more important than choosing a summer cologne. 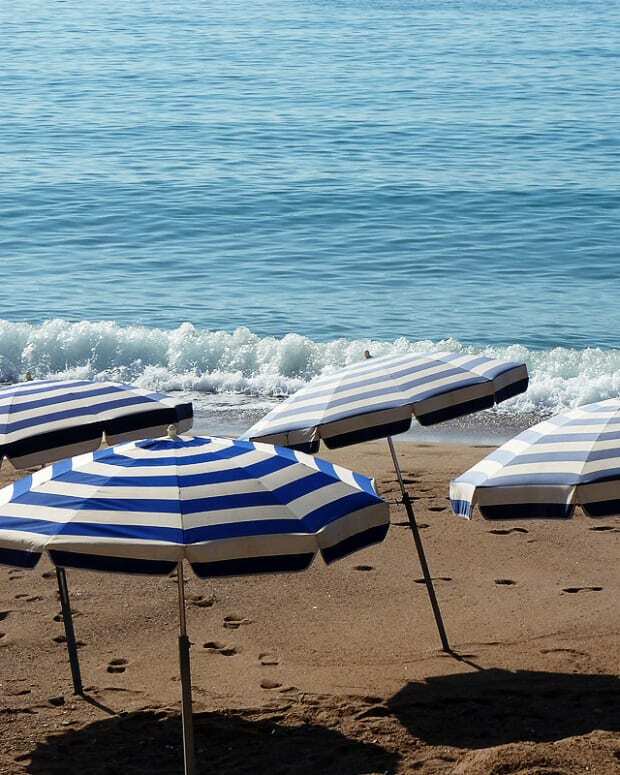 Fall/winter perfumes have to keep you happy in the face of November rain and bone-chilling winds, whereas summer scents really only exist to mask sweat. Truth. 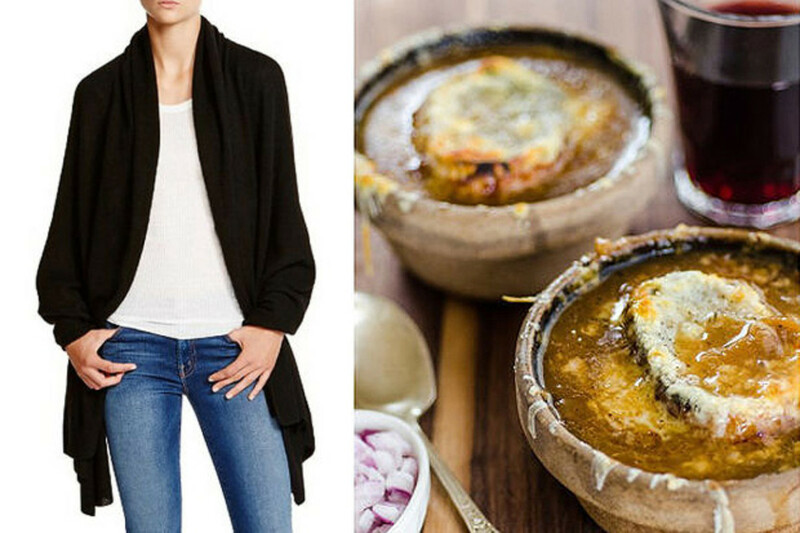 We&apos;ve paired the best of the new fragrances with the coziest clothes and warming food ideas. If you’re going to wear all those layers, why not eat? Gucci Bamboo In the television commercial for Gucci Bamboo (50 mL eau de parfum, from $109 CAN at thebay.com and $70 US at nordstrom.com), Gal Gadot plays the piano stark naked. Maybe she was inspired by the fragrance’s lush floral statement to shed her clothing and hit the keyboard? 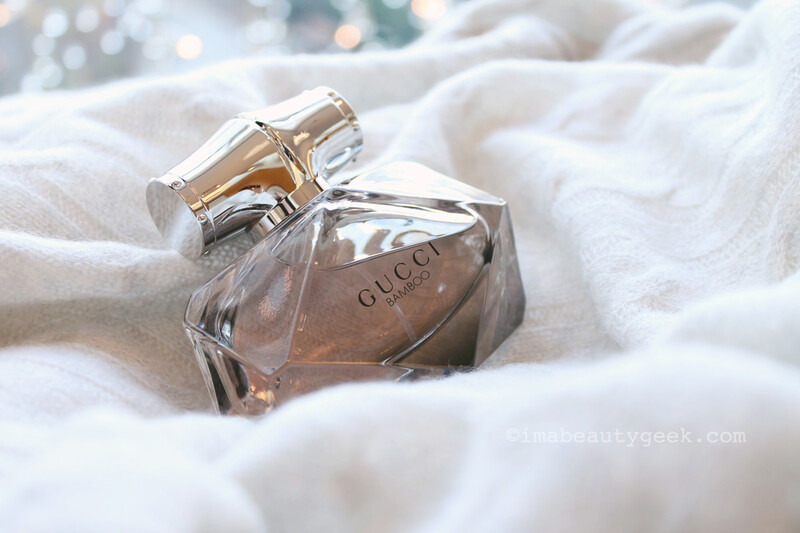 It’s Gucci, so you already know it’s going to be big and expressive. All amber and sandalwood opening into Casablanca lily and Ylang Ylang, Bamboo is unabashedly seductive, not softly flirtatious. Wear it with: something designed to get attention – a plunging-vee silk blouse, perhaps? And some really tight jeans. 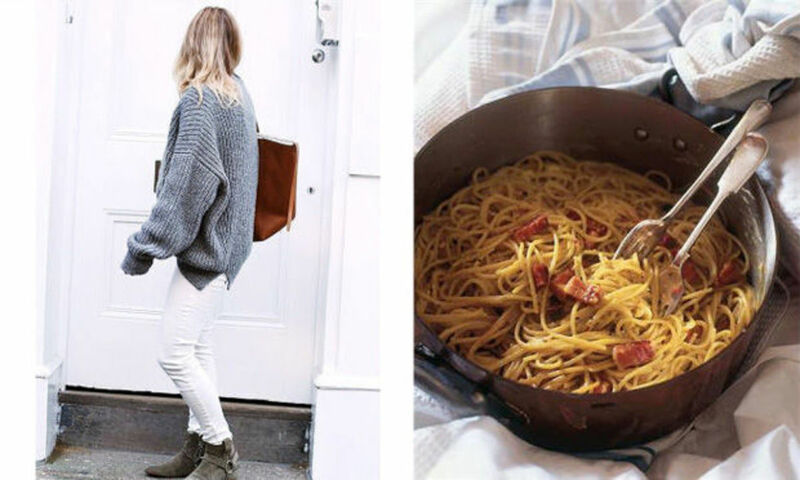 Eat this: Gucci is Italian, so pasta, obviously. Make a bowlful of hearty pasta Bolognese and wash it down with red wine, like a big Brunello. 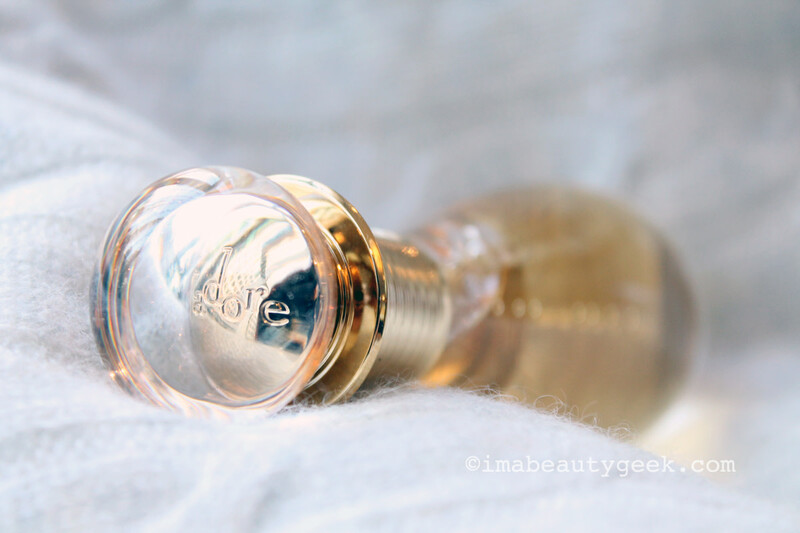 Dior J’Adore Touche de Parfum (20 mL, $112 CAN at thebay.com and $92 US at nordstrom.com) is a fancy version of those wee vials of intense oils found in hip, curated boutiques. 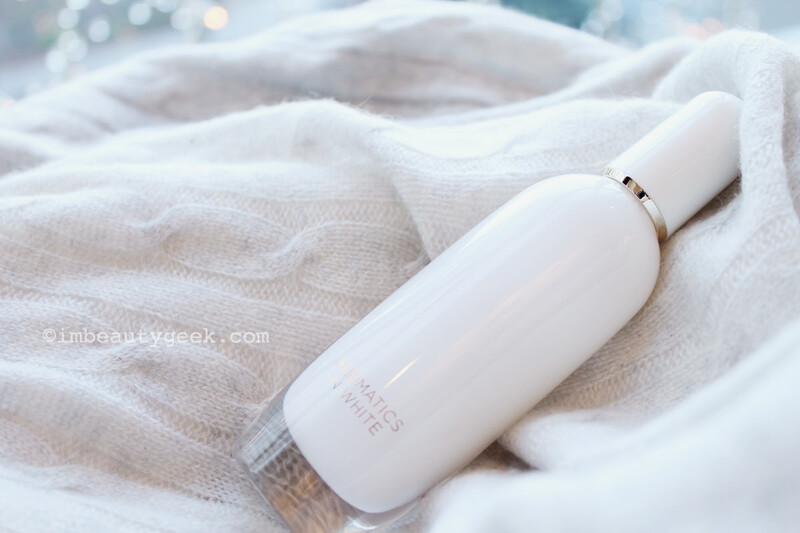 A concentrate that you dab on to amplify your existing J’Adore, it opens all riotously floral, like an actress’s dressing room on opening night – wall to wall bouquets of jasmine, damask rose, tuberose and lily of the valley. 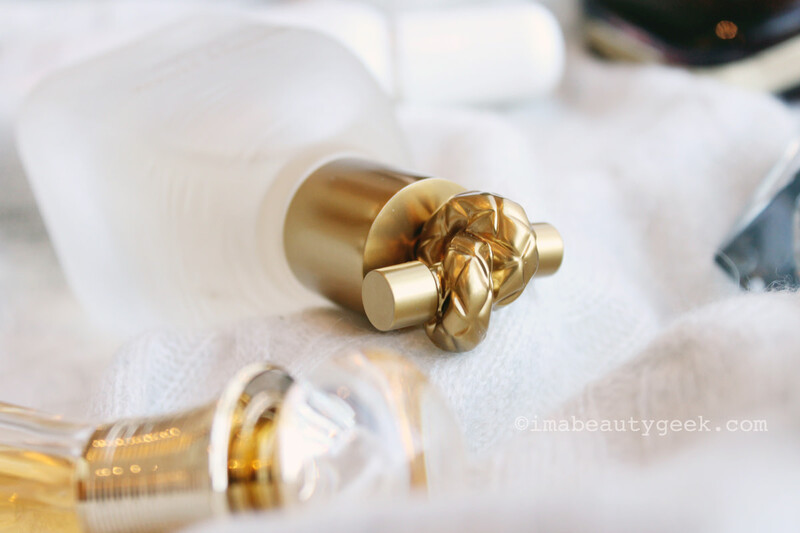 It’s in the dry down that the silky woody notes of sandalwood and musk emerge. It’s perfect for diehard J’Adore fans, or desperate and clueless boyfriends and husbands struggling with gift giving. Wear it with: heavy cream silk charmeuse or an immaculate white cotton shirt. Even though it’s late Fall and some of us are bundling up, instead think, “What would Grace Kelly Wear?” (WWGCW). Eat this: Crème brûlée made with real vanilla beans. Clinique Aromatics in White Given Aromatics Elixir’s serious pedigree (launched under the radar in 1971 and packing a wallop with rose and jasmine smothered by patchouli, vetiver and oakmoss) the new Clinique Aromatics in White (50 mL, $69 CAN at thebay.com and $58 US at nordstrom.com) is ostensibly lighter with violet leaves, but it still bears that stamp of earthiness and mystery of the original thanks to green woods, leather musk and fractionated patchouli. Wear it with: cozy but light shades that mirror the scent&apos;s plush, heavy lightness (no really, that’s a thing). Slip into pale jeans and taupe suede Golden Goose boots, a chunky long sleeved sweater, and one bold ring. Eat this: Spaghetti alla carbonara. Because we’re still allowed to have bacon once a week, right? 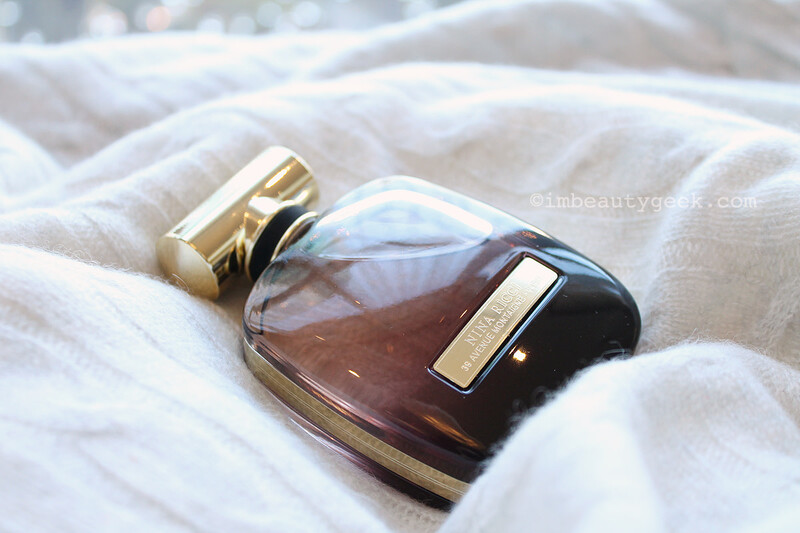 Nina Ricci L&apos;Extase More subtle than a smoky oud perfume but just as plush, L’Extase Nina Ricci for women (50 mL, edp, $95 CAN at thebay.com and $85 US at amazon.com) is so rich and enveloping that you’re pretty much obliged to wear it with cashmere. It seems straightforward at first, all rose and peony, but then there’s a caramel gourmand note and musk that alludes to carnally entwined bodies. It’s elegant, but hints at darker pleasures. Think: "stealth" seductive. Wear it with: a soothingly soft and admittedly pricy cashmere scarf (a blankie for grownups) thrown over a paper-thin cotton t-shirt. Eat this: A comforting and soul-renewing French onion soup. 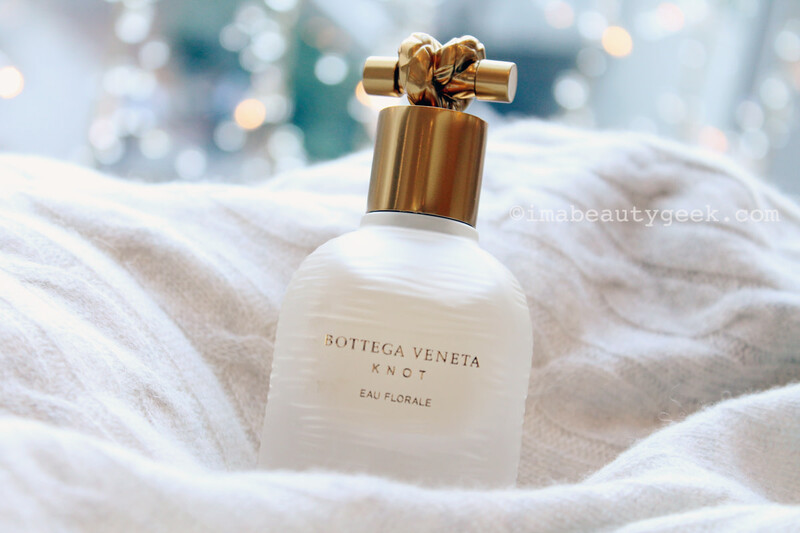 Bottega Veneta Knot Eau Florale (50 mL EDP, $140 CAN at thebay.com and $125 US at nordstrom.com) swathes the original Bottega Veneta Knot’s fruits, flowers and salt spray in velvety rose, peony and musk, warming it up for chilly November. Wear it with: cozy, natural-toned knits and your hair casually caught up as per our messy-bun role model, Fashion Magazine Beauty Editor Sarah Daniel. 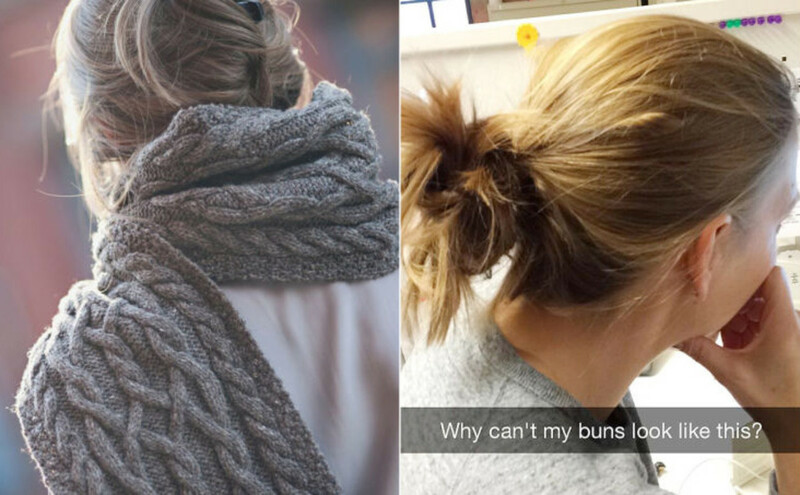 Her perfectly imperfect bun is the ultimate antidote to all that barrel-curled/mermaid hair sameness out there. And about those knits, beware. Embracing "earthy" colours with too much enthusiasm can put you just one museum-gift-shop necklace away from crazy-cat-lady status. Get around this by loading up on delicate gold jewelry like these stackable gold rings. Or try a chunky gold watch, or (the best) an heirloom item from the grands like your grandfather’s signet ring or a gold bracelet from grandma. 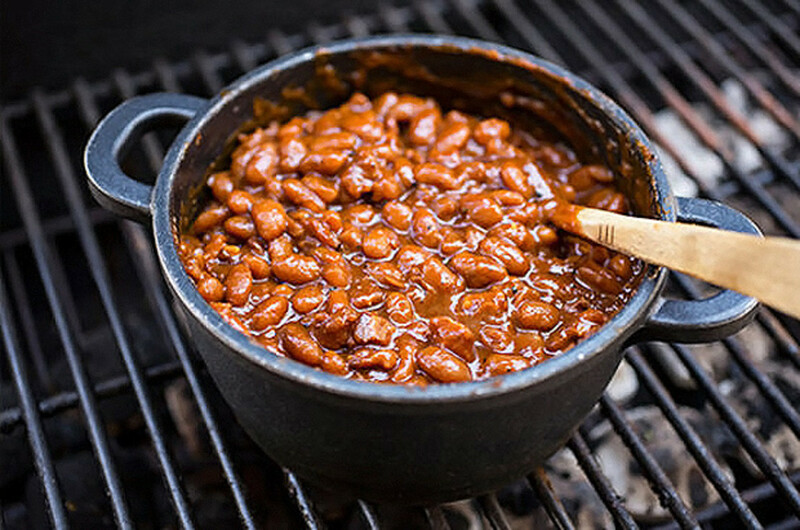 Eat this: Childhood comfort food hero, baked beans, torqued with some rather grown-up additions. 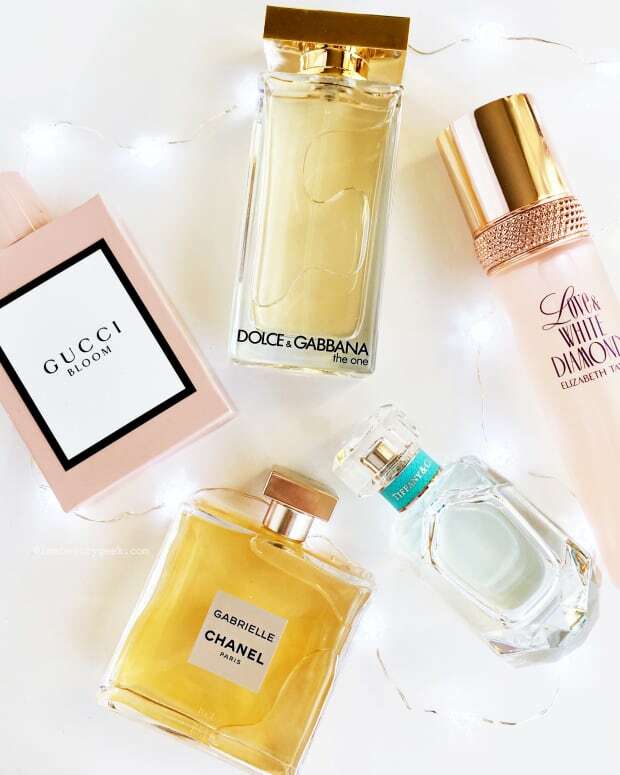 What&apos;s your favourite fragrance to wear with your cuddliest clothes? And what&apos;s your favourite winter-comfort dish? Are any of the season&apos;s new scents calling to out you?